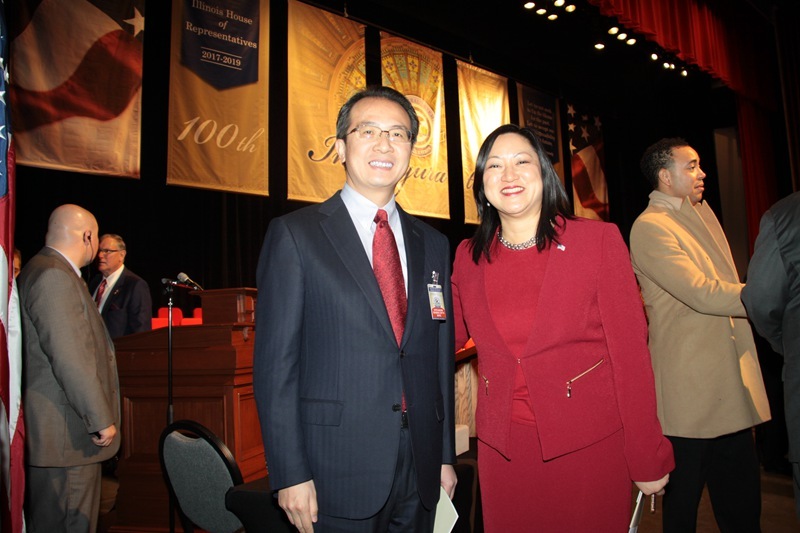 On January 11, Consul general Hong Lei was invited to attend the newly elected Illinois House Representative Theresa Mah’s Inauguration Ceremony in Springfield, IL. 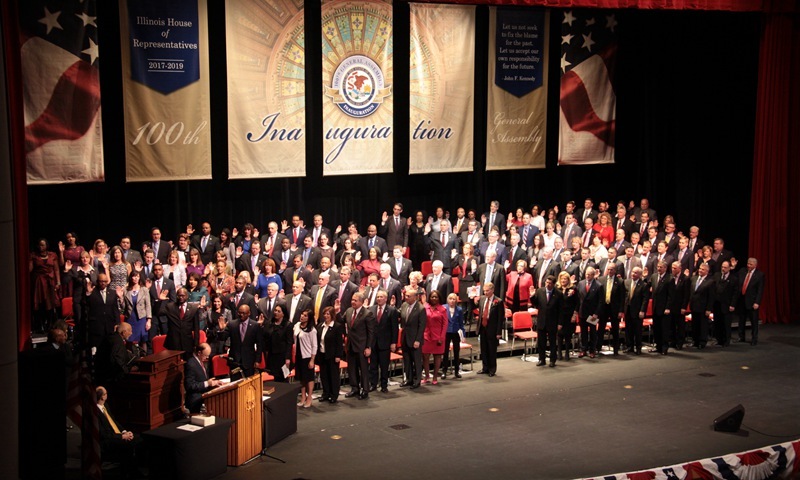 During the Inauguration Ceremony of Representatives of the 100th Illinois General Assembly held in Sangamon Auditorium, University of Illinois Springfield, Rep. Theresa Mah and other state Representatives were sworn into office under the witness of people from all walks of life including Illinois Chinese community. Consul General Hong Lei warmly congratulated Mah on becoming the member of the General Assembly. Consul General Hong Lei said that, as the first Chinese American member of the Illinois General Assembly, Rep. Mah is the pride of the Chinese community. And this has demonstrated the positive effects of the active integration of Chinese Americans into the mainstream American society and their service to the local community. He hopes that Rep.Theresa Mah would continue to care for and support the development of Chinese communities in Illinois, and help promote the exchanges and cooperation between Illinois and China, so as to make positive contributions to the sustainable, healthy and stable development of China-U.S. relations. 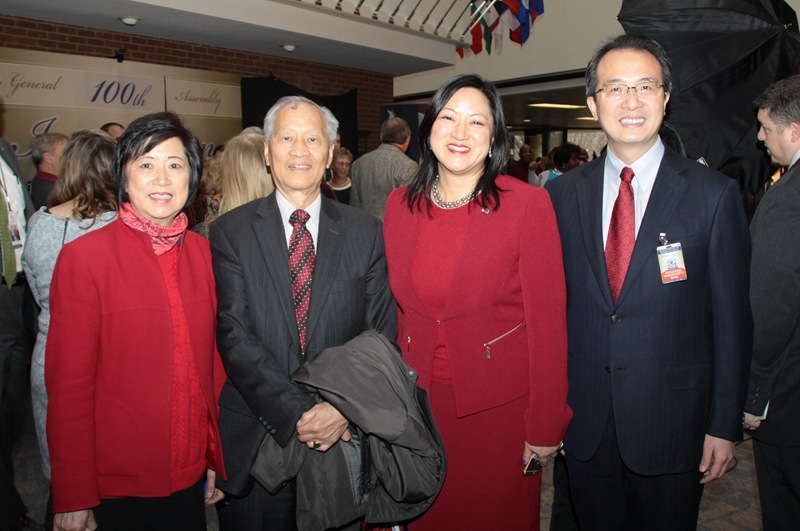 Rep. Theresa Mah thanked Consul General Hong Lei for attending her inauguration ceremony in Springfield. 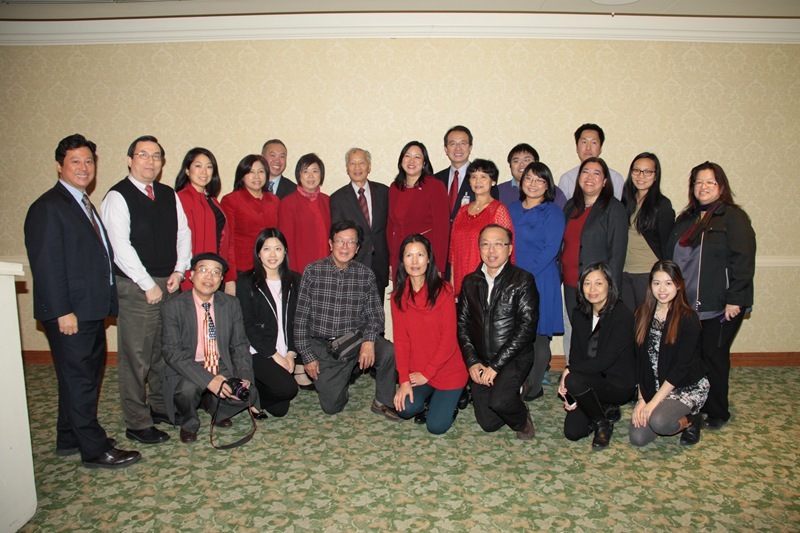 Rep. Mah credited her successful election to the Chinese community, and expressed that she will actively serve constituencies especially the Chinese community and work with Chinese Consulate to promote Illinois’ cooperation with China in various fields.